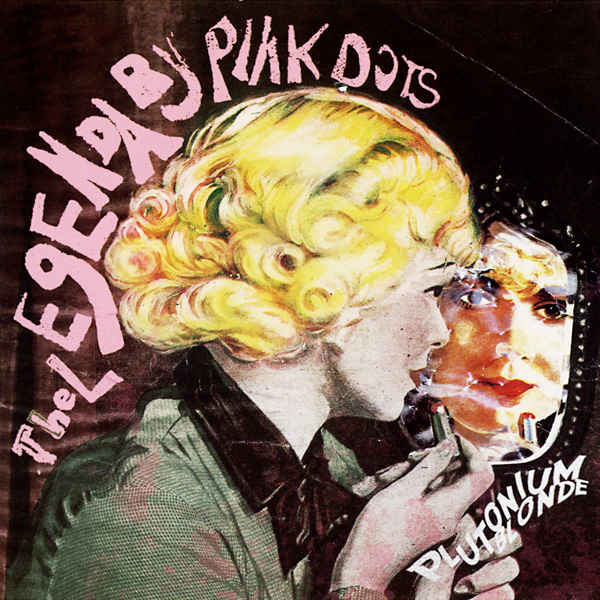 Coinciding with the Dots’ October/November 2008 US tour was the release of Plutonium Blonde, which might well be their best in many years. Plutonium Blonde combines many of the shifting styles we’ve glimpsed over the past three decades. Bands like the Dots that have been able to remain active this long and continue to produce high quality music are in a class by themselves. The opening track “Torchsong” is an industrial song with a marching rhythm recalling the Wicked Witch of the West’s army. “Rainbows Too?” takes us back to The Tear Garden and other “Rainbow” songs with its signature electronics complemented by Niels’ sax. “A World with No Mirrors” is a beautiful and emotionally charged yet quiet ballad, and “My First Zonee” is another of the Dots’ catchy, singable childlike ditties about society’s love affair with modern technology and cell phones. “Faded Photograph” has a haunting and scratchy 78 RPM sepia-toned atmosphere. And who would have ever thought that we would hear a banjo on a Dots song, but it is there on “Mailman.” Then we have the quiet ambiance of “Oceans Blue” that skillfully integrates the rhythmic clatter of a tractor for the final two and a half minutes. Using tones and sound sources most musicians reject, the Dots have composed ten unique and enjoyable songs that are unmistakably theirs. Plutonium Blonde is an aural treat that should not be missed, as well as a great place to start for new fans. Chui Wan and "Sheep's Shadow"